This past weekend at New York’s Toy Fair, we saw a lot of awesome movie-related items, but the big standout was Funko‘s massive booth featuring hundreds of their adorable Pop Vinyls. 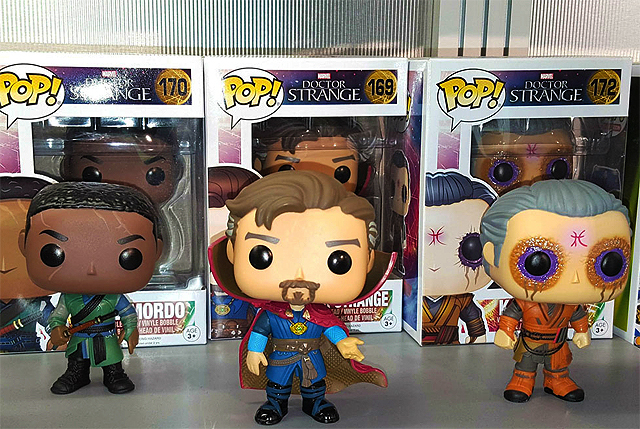 Since these adorable little figures seem to be taking over the geek collectable landscape, we thought we’d honor them with a gallery of The 35 Best Funko Pop Vinyls from Movies, which you can flip through below! Our selections include pieces from major franchises like Star Wars and Harry Potter, as well as upcoming items from recent hits like Marvel’s Doctor Strange. Which of these movie-related Funko Pop Vinyls is your favorite? Was there a good one we left out that you own? Let us know in the comments below!